Home / Blog / Sikorski Sausages with MS Bike Canada! 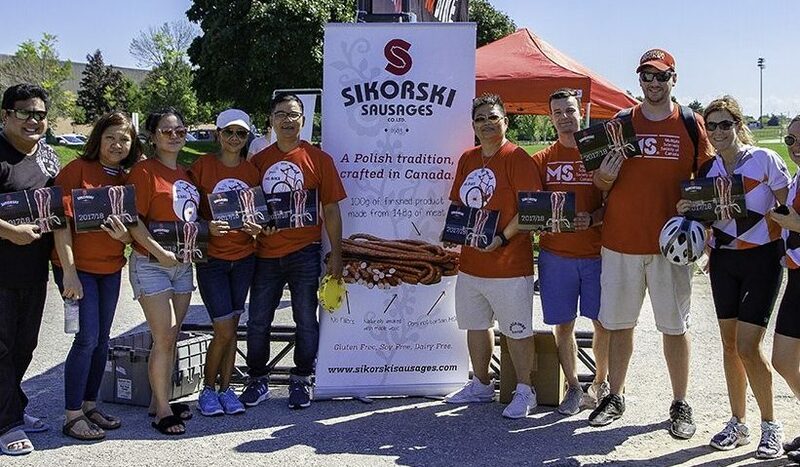 This summer, Sikorski Sausages was honored to support the MS Society as a provincial sponsor of their MS Bike Canada fundraiser to help increase awareness and raise funds for the battle against multiple sclerosis. In Ontario, we supplied these hungry and dedicated people with our delicious sausages all throughout their scheduled events, and we were glad to get to meet so many new friends and old fans while helping such a good cause. Thanks to all of the great folks that we met for all of the time and effort that you put into working towards a cure, and thanks again for letting us help out!